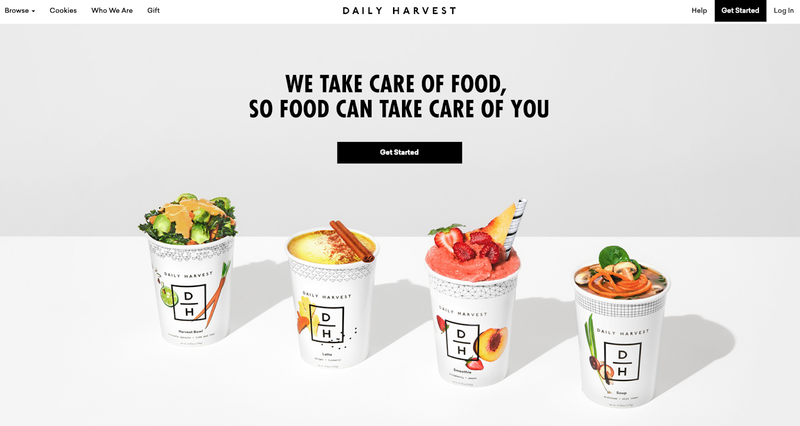 Have you heard of Daily Harvest? It is a plant-based meal service that you can subscribe to. 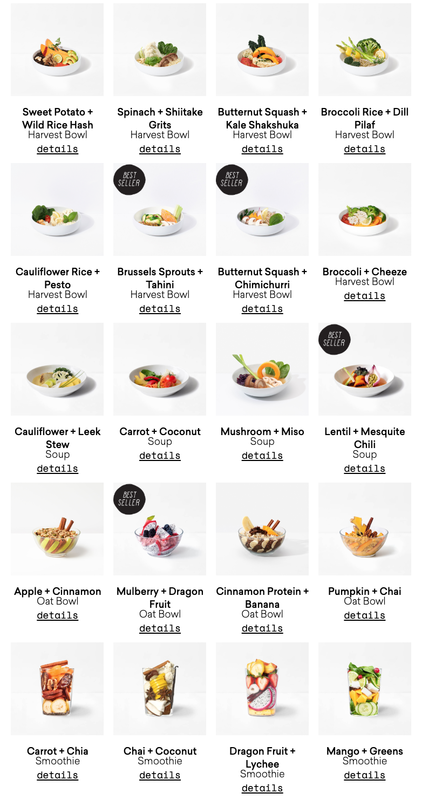 They expanded their offerings from just smoothies, soups, and Harvest Bowls, into Lattes, Oat Bowls, and Chia Bowls. I am thinking of subscribing and checking it out. I love how easy they make eating healthy. It can be daunting to come up with new recipes, and these are freezer friendly! 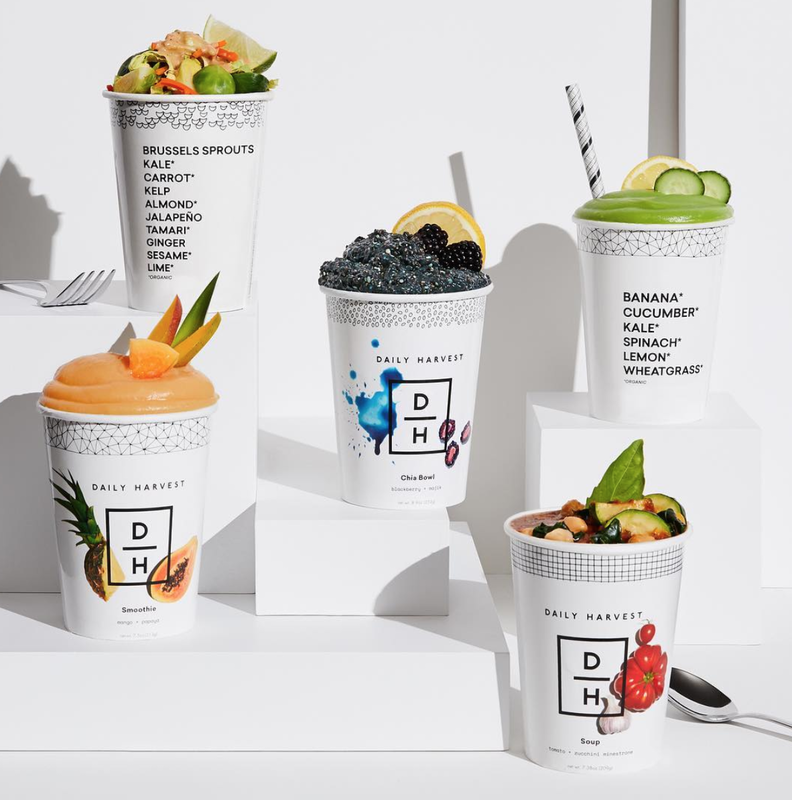 Daily Harvest sends these cups filled with fruits, vegges, spices, and grains. You can store them in your freezer. Either heat the cup up on the stove or in the microwave, blend it into a smoothie, add hot water to make it into a soup, or add milk of your choice to the chia bowls. 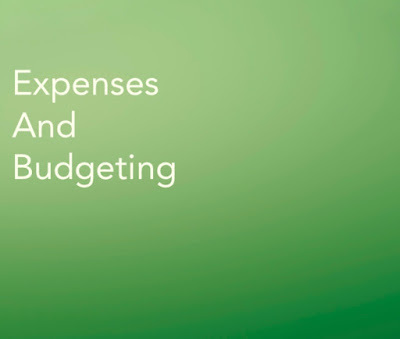 The point is that it is so easy to make yourself a quick meal, and if you work in an office, going out to lunch can be expensive. At least with these, they are about $7 a cup, but will save a lot of time, effort, and planning. I think these are a good alternative instead of going out for lunch. The smoothies can be kind of expensive, but they sound delicious! Even if you are not interested in a subscription service, check out their recipes! You might be inspired, you never know! This is not an ad, I am genuinely interested in finding out if this service is a good one. I love to try subscription services, it can be for food or anything, really, so I am excited to have come across Daily Harvest. Have you tried it? Or, another subscription service? If so, let me know in the comments below. 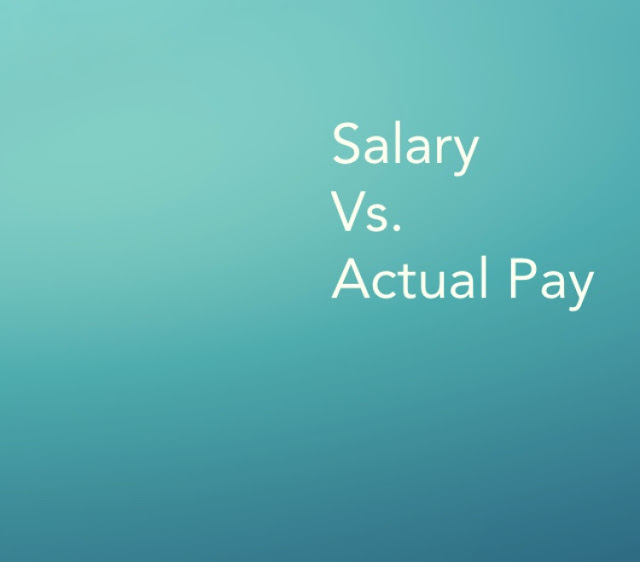 Now, Salary VS. Actual Pay. 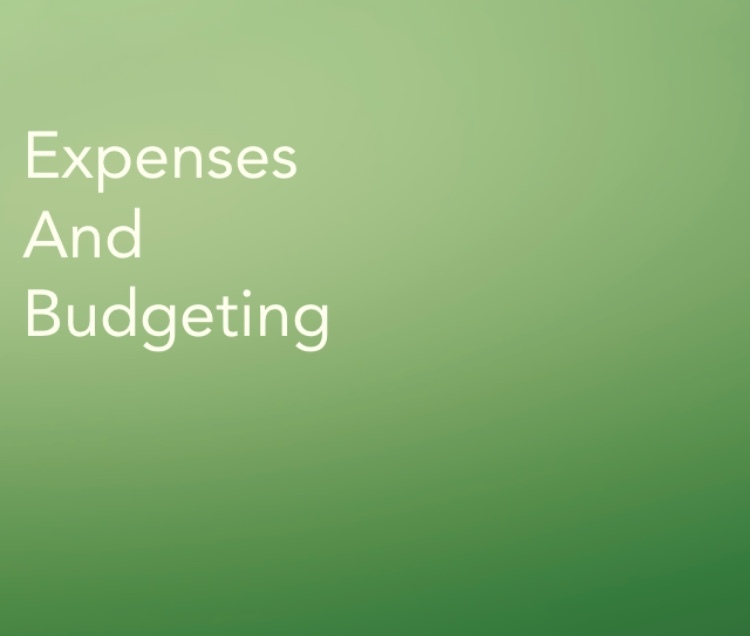 In the last blog, we looked at Renting Vs. Buying in Los Angeles and we will be looking at Expenses and Budgeting in the next blog. If you are wondering what it would be like to move to California, I am here to give you insight. I have a family member who would like to move out here, but doesn't seem to grasp what it would be like for them out here. I know they are just tired of the snow and dealing with the cold, but taking a beat and understanding what they are getting into will set expectations and you can benefit, too. 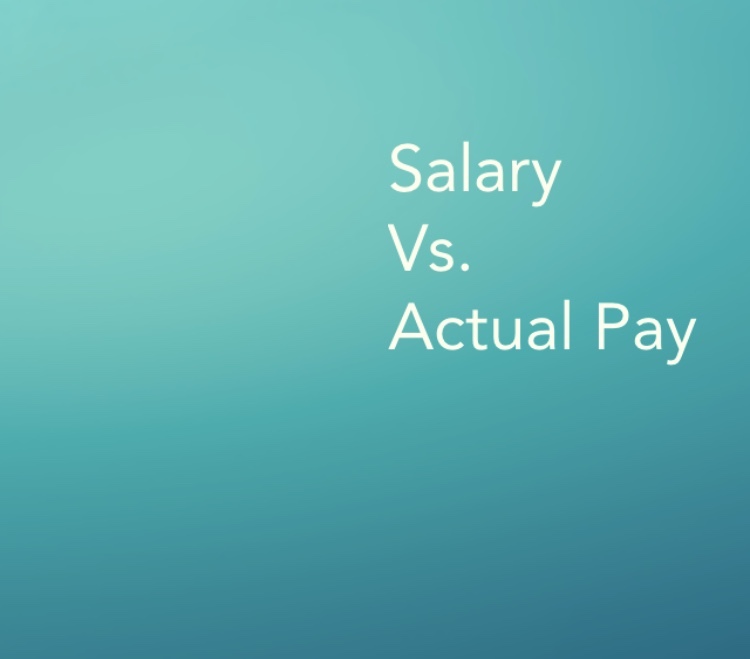 Salary, or Gross Pay, is what you are making, before taxes and insurance. Actual Pay, or net, is your paycheck after everything has been taken out. Essentially, it is what you are taking home and able to use to live on. So, what is the actual pay of someone in Los Angeles who, like my cousin, is Single, has no dependents, and no health insurance? Here is a paycheck breakdown for someone like that, single and has no dependents, living in Los Angeles from a friend of mine.